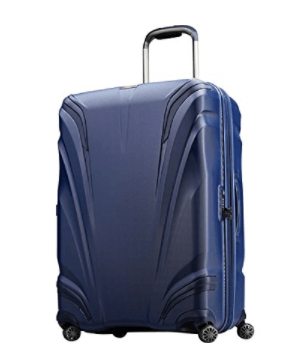 The 26” Samsonite Silhouette XV is a large, premium quality, strong polycarbonate hard side spinner suitcase with a fabric lining and a reliable and an innovative design for the frequent leisure and business traveler. It is a hot new release product on Amazon.com that is offered in two color options of twilight blue and black. Silhouette XV is a high-quality suitcase that is built to last with a strong yet lightweight polycarbonate material and with a good capacity of its spacious interior and that is very easy to carry and move around. 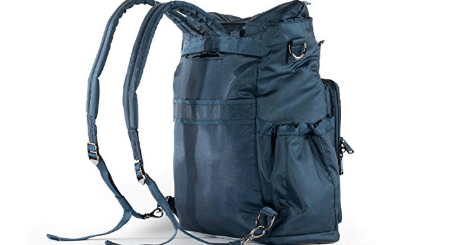 It is designed to meet the needs of the modern day frequent traveler with its innovative and functional, mobile and adjustable design and very solid and durable build. It has a solid telescoping RightHeight pull handle that is wider than normal and with better rubber seals and premium quality cushion, so you can enjoy a very comfy grip. And it allows different height adjustments so it can be used by shorter and taller people comfortably. You just hold the handle at the height that is most appropriate for you so there is much less stress on your back and arm. The camber instructed V-shaped Tru-Trac wheels let you roll the bag smoothly and easily every single time on different surfaces. The Silhouette XV includes a side-mounted TSA lock for better security by deterring theft. So only a TSA agent at the airport can get into the contents of your bag and without breaking the lock. It is a large check-in bag that weighs 11 pounds and measures 26.5 x 17.5 x 12.0 inches including the wheels and the handle. You’ll find the polypropylene rails in the corners that conveniently flex to better absorb the shock or impact for protecting your luggage. There is a hidden ID tag built into the telescoping handle bezel so your personal information is protected better. 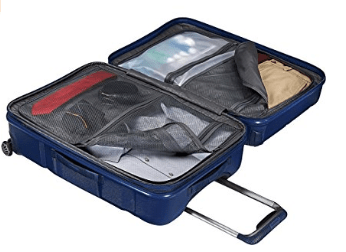 It is an expandable suitcase with a very spacious interior and includes different zippered mesh, pockets, and compartments on both sides, and you can better organize your clothes and other belongings. The 26-inch Samsonite Silhouette XV is a full-featured suitcase that offers sturdy and durable construction, beautiful style and appearance, efficiency, functionality, and convenience. It is not a cheap suitcase but not very expensive either- has a fair medium-range price tag and offers very decent value for money. It is lighter than some of the similar size soft side suitcases that we know. You can use it for your family trips, long vacations, leisure or frequent business travels.